American economist Jeffrey Sachs is no stranger to Russia, having served as an advisor to the Yeltsin government as it attempted to transition to a market economy after the collapse of the Soviet Union. Now, the academic warns that the United States may follow the USSR's path to ruin, if it doesn't scale back its military adventures and spending. In his latest piece for the Boston Globe, Sachs explained that for economists, "the single most important issue in allocating national resources is war versus peace, or as macroeconomists put it, 'guns versus butter'." Unfortunately, he suggested, "the United States is getting this choice profoundly wrong, squandering vast sums and undermining national security." In fact, Sachs noted, "if our next president remains trapped in expensive Middle East wars, the budgetary costs alone could derail any hopes for solving our vast domestic problems." And that's not even mentioning Washington's competition with Russia in Europe and China in the Pacific. The US is not a classical empire, the economist suggested, since it does not directly control foreign territories; rather, the US stations forces in dozens of countries, and uses this power to influence "who governs" in these states. Noting that the US is suffering from 'imperial overreach', Sachs pointed out that "the scale of US military operations is remarkable." The Pentagon has access to nearly 5,000 military facilities, 662 of which are sprinkled across 36 foreign countries across the globe. That's not counting the secret facilities belonging to US intelligence. The cost of this behemoth, including the wars the US is engaged in, adds up to about $900 billion a year. Ultimately, Sachs warned that he believes that like the Soviet Union, which "bankrupted itself through costly foreign adventures such as the 1979 invasion of Afghanistan and its vast over-investment in the military," the US today is similarly overstretched. "Today," the economist noted, "the United States has similarly over-invested in the military, and could follow a similar path to decline if it continues the wars in the Middle East and invites an arms race with China." In Sachs' view, the US has a choice: continue its project to try to maintain unipolar hegemony, and face ruin, or put an end to its imperial ambitions, "invest[ing] in sustainable development at home and in partnership with the rest of the world." Commenting on Sachs' piece, and the suggestion that the US faces the prospect of a Soviet-style collapse, prominent Russian historian and political scientist Andrei Fursov said that he can sympathize with the economist, although his analysis is not entirely correct. "Jeffrey Sachs is wrong about one thing: The Soviet Union did not collapse because of the arms race, or due to economic problems of any sort, for that matter," Fursov explained, speaking to the independent online newspaper Svobodnaya Pressa. 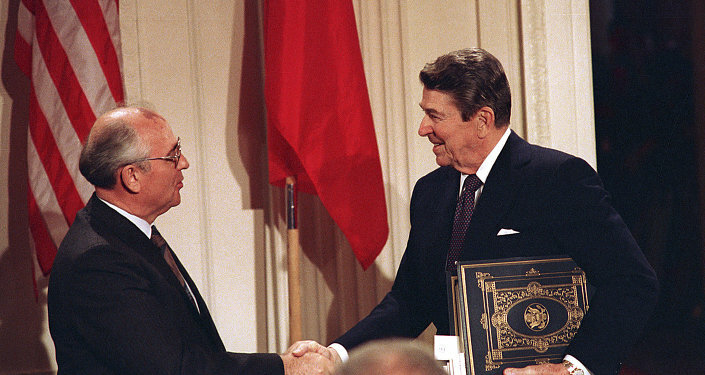 Alternative View: Could USSR Have Avoided Dissolution, Overcome Crisis? The academic explained that he sees the Soviet collapse as the result of a conspiracy between high-ranking bureaucrats, including Mikhail Gorbachev, and the Western political and financial elite. A part of the communist elite sought to join the Western global capitalist establishment – to become owners and capitalists, and hence instigated processes that would end up destroying the country, according to the historian. "But Sachs is undoubtedly correct when he says that America is overextended," Fursov added. "Moreover, he is not the first to write about it. The same idea has been expressed, for example, in the trilogy by the well-known analyst and ex-CIA consultant Chalmers Johnson, with his books Blowback, The Sorrows of Empire, and Nemesis: The Last Days of the American Republic." "In the first book, Johnson argues that in the first half of the 21st century, the United States faces blowback from the policy it conducted in Asia and Africa in the second half of the 20th. According to Johnson, Washington will attempt to solve the problem by military means, which won't work. In the second book, Johnson convincingly demonstrates that since the time of the administration of Bill Clinton, the US has turned into a military state, led by the military, which implements, first and foremost, military programs." US overstretch, Fursov suggested, "grew when George Bush decided to establish a new order in the Middle East. Experience has shown that these efforts were not enough, and under President Obama, Washington has attempted to use a strategy of 'controlled chaos' in the region. But this strategy too has failed, and now the US truly does face a very serious choice." It's also not as simple as 'guns vs. butter', as Sachs proposes, according to the expert. "The problem is that America consumes far more than it produces. With only 5% of the world's population, the US consumes 40% of world output, and produces 70% of the world's waste. It is clear that sooner or later, Americans will be forced to cut their overconsumption." "And something else is clear," Fursov stressed. "It will not be the top layer of American society which will have to reduce consumption, but the middle class and the poor. This, in turn, will result in very sharp social conflicts. In other words, the United States is on the verge of serious shocks." Ultimately, the analyst suggested that in his view, "the future of America depends on the actions of its real owners, who must now choose between Hillary Clinton and Donald Trump. Specifically, everything will depend on their ability to choose a strategy which can prolong the country's existence for at least several decades." "Right now, the US is taking the path of serving the interests of transnational corporations. To solve their problems by economic means, Washington needs to create two global free trade zones – the Transatlantic Trade and Investment Partnership (TTIP) and the Trans-Pacific Partnership (TTP). The TTP seems to be progressing, but that is not to keep the US afloat. 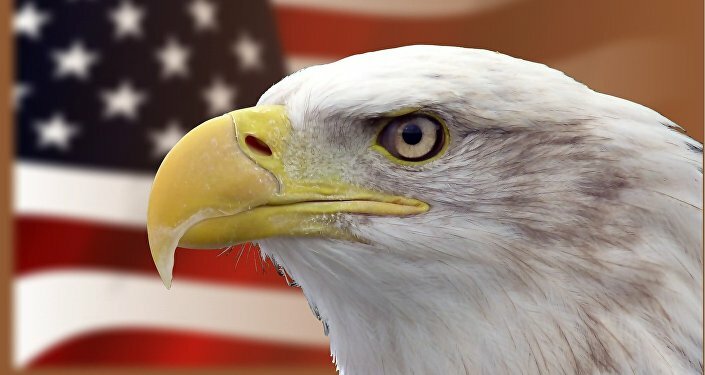 To hold out for another 15-20 years, the US needs to 'gobble up' the Western European economies. Factually, it's doing the same thing that Western Europe did to Eastern Europe" in the 1990s. "But as we have seen, the Europeans do not really want to be 'gobbled up'. And in this situation the US is faced with a choice: either a large-scale war, which could solve many problems, or serious socio-economic reform." The US faced a similar choice during the Great Depression in the 1930s, Fursov noted. "It so happened that Franklin Roosevelt's New Deal created significantly more problems than it solved. The fork in the road sprang up in the late 1930s and early 1940s: the US could either engage in social reforms against oligarchic capital, or go to war. Then, as we know, Washington chose war. What it will choose this time is an open question."